If you’ve been in a coffee shop, business reception area, or even around a family dinner table lately, you’ve probably noticed the same trend we have: businesspeople, couples, entire families with their heads down, consumed by their smartphone. This collective addiction to our smart phones is no longer limited to younger generations, either. The reason behind the shift is simple: in general, everything we do is complemented by using our mobile devices (except if you enjoy, you know, genuine human interaction. Or dating. Dating in the mobile age is the worst. But that’s the subject of a different article). And since we constantly rely on our phones to deliver on our every whim, everyone—including businesses—needs to adapt to and use this cultural shift to our advantage. Our customers are using their phones for every step of the buying process, both in- and out-of-store, whether we like it or not. So, we need to embrace this reality and leverage it to learn about our customers, their buying habits, and improve our processes to increase sales. The first step in this process is wifi marketing. Wifi marketing starts with a simple, logical argument: if our customers are constantly on their mobile devices, we should be doing everything we can to make that work to our advantage. Why not improve their mobile-first experience by offering free wireless internet while they visit your business? Providing wifi to customers ensures a reliable, fast, consistent mobile web experience within your walls (regardless of the user’s cell phone provider), and is a huge bonus for your visitors that can be a difference-maker when deciding which business to shop at. For businesses that have a wifi marketing system in place, providing internet access for your customers is a huge win-win. As we will cover in this post, in order for a customer to log onto a wifi marketing system, they are required to provide an email address, social media contact or other contact information. Jumping for joy yet? Fast access to your customers information and demographics! User contacts are stored within the system database, and are available to system administrators for use in future email communications, social media or other marketing campaigns, or to gain insights into who customers are and when/how they spend time in your retail space. First, let’s look at the current state of mobile device usage: according to the results of a 2016 study conducted by Google*, 80% of US individuals aged 18-49 use a smartphone every day. In fact, there are more daily smartphone users than daily users of computers (67%) or tablets (16%). So, according to the study, the average device-using American is using a smartphone more than any other device. But what do we know about where they are using it? Well, the same Google study asked respondents where they use their phones most. The results showed that ‘in a store’ was third on the list of most common places to use a smartphone, after home and work. So, to recap, we’ve got a huge percentage of Americans using smartphones every day, using them in stores more than just about anywhere else. It’s time to capitalize on that opportunity. Wifi marketing: how does it work? A wifi marketing system is an easy, passive way to collect a wide variety of data and contact information about your customers. A wifi marketing setup looks and acts just like a traditional wireless router, but with one important difference: for a user to log on, there is no password to type in. Instead, when someone attempts to join your wireless network, they are greeted by a customizable login screen which requires an email address, social media account or other contact information to successfully sign on. This contact information is then stored for future use in promotional or marketing campaigns. And, importantly, system owners will never have to give out a wifi password again. Wifi marketing users have access to their captured customer data through an online data dashboard. For our customers, the Flonomics dashboard provides a full suite of viewable data points and a wide assortment of actionable insights. how long they remain logged onto the wifi marketing system. For administrators who collect social media data, users can also view demographic data such as age and device usage to get a more robust idea of who your average customers are. Taking action: What can I actually do with my wifi marketing data? Our users have seen tremendous results in a variety of industries, including food & beverage, automotive services, furniture sales, churches, and museums. But that’s not to say wifi marketing wouldn’t be successful across many other industries. For a furniture store owner, when a customer initially logs on to the store wifi network using an email address, they consent to receive future email offers from your business as part of the necessary terms & conditions. As customers continue to use your in-store wifi, your email list rapidly expands. Collected addresses are easily exportable to your email marketing platform. These new contacts can then be added to send lists for upcoming newsletters and marketing offers, letting you stay in touch long after the customer leaves your store. For museums—many of which are not for profit—one’s ability to secure funding is directly tied to the number of visitors walking through your doors. Yet, for many patrons, the desire to visit a museum depends on how often there is something new and exciting to see. In this situation, wifi marketing helps both museum and visitor. When a visitor logs onto the museum wireless network using a social media account, they are required to ‘like’ the business on a specific social media network. This allows museum operators to easily reach these users on social media, alerting them about new exhibits, free days, or even a price break for upcoming holidays. When a coffee shop equipped with wifi marketing wants to know more about their customer base, demographic data from their collected social media contacts is a great place to start. After capturing social media contacts, administrators can see a variety of valuable data points, including the gender, age and type of device individual visitors are using. Using this data, along with additional insights from the data dashboard, makes it easier for users to understand their average in-store customer. This gives businesses a leg up in developing future marketing campaigns. Many quick-service restaurants rely on repeat customers to keep their business operating in the black. Wifi marketing systems are an easy and effective way to gauge how many customers are coming back on a regular basis, and how frequently they visit. Combined with insights captured from wifi marketing and other sources, this data can help inform upcoming marketing campaigns to boost the percentage of repeat customers. These same insights can then be used to measure the effectiveness of the campaigns. As businesses across industries have adopted wifi marketing into their day-to-day operations, it has been our pleasure to work with our clients to create new and exciting innovations across the industry. For these businesses, a wifi marketing system would present an enormous upside for both visitor and business owner. Many customers know the headaches that come with trying to establish a reliable data connection in a busy entertainment space filled with people. Large populations, within a confined space, splitting bandwidth from the same cell towers does not add up to a reliable signal. 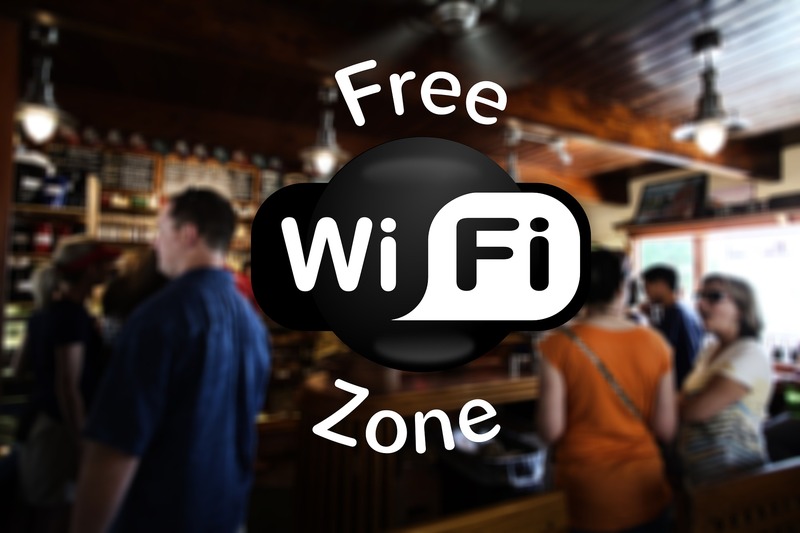 If, however, the venue offered free wifi to these visitors, they would undoubtedly provide their contact information in return for a consistent wireless connection. They might even take a moment to post about their great experience on social media, essentially providing free advertising for your business to their followers. Our staff is very excited to explore the potential of wifi marketing. If you would like to learn more about how the Flonomics wifi marketing system can improve your marketing operations and boost your bottom line, get in touch with us!